Here is an introduction to an article by Grant Pardee and Kristen Hubby for The Daily Dot in which they introduce and discuss the 25 most-viewed YouTube videos of all time. To learn more about The Daily Dot and/or check out all the resources at its website, please click here. In a truly shocking amount of time, Luis Fonsi’s “Despacito” has become the most-viewed YouTube video of all time. The international hit and undisputed song of the summer passed “See You Again,” Wiz Khalifa and Charlie Puth’s ode to the Fast and the Furious, on Aug. 4, and it’ll soon shatter 3 billion views. 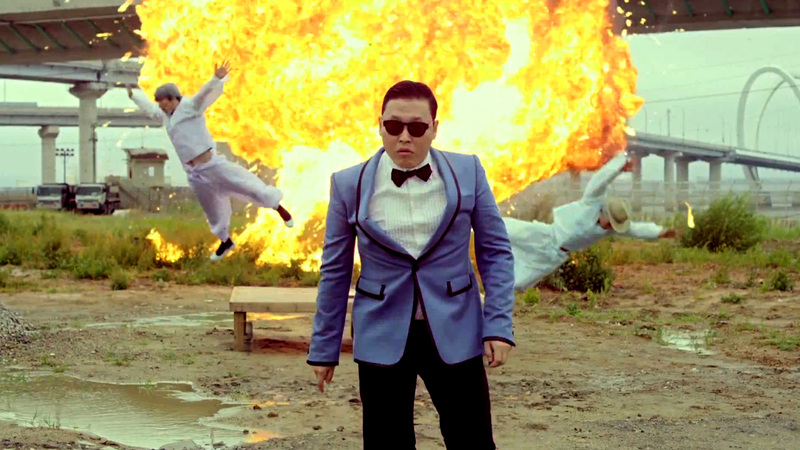 Psy’s “Gangnam Style” enjoyed a five-year reign atop YouTube’s charts, but it was dethroned in June. The list of the top 25 most-viewed YouTube videos of all time is changing constantly, but no video has shown the velocity we’ve seen from “Despacito”—and it won’t let up anytime soon. A look at the top 25 most-viewed YouTube videos reveals that nearly all of them are recent music videos. In fact, only two don’t fit that mold: one is a clip from a Russian children’s show and the other is an hour-long compilation of classic children’s songs. Justin Bieber’s “Baby,” (the second video to surpass 1 billion views after “Gangnam Style”) is the oldest video in the Top 25, having debuted in February 2010. Nearly half of the Top 25 videos are less than three years old. Seven videos from 2015 and nine from 2014 populate the list. Three videos from 2016 made the cut: “Work From Home” by Fifth Harmony featuring Ty Dolla Sign, “This Is What You Came For” by Calvin Harris featuring Rihanna, and “Closer” by The Chainsmokers featuring Halsey. Luis Fonsi’s “Despacito” featuring Daddy Yankee was the first video from 2017 to crack the Top 25 list. (The original video from Fonsi is not to be confused with Bieber’s popular remix, which came out in April, but Bieber still reigns supreme with three of the Top 25 spots, trailed by Taylor Swift and Katy Perry both holding two top positions, and Ed Sheeran, whose “Shape of You” is still churning out views.